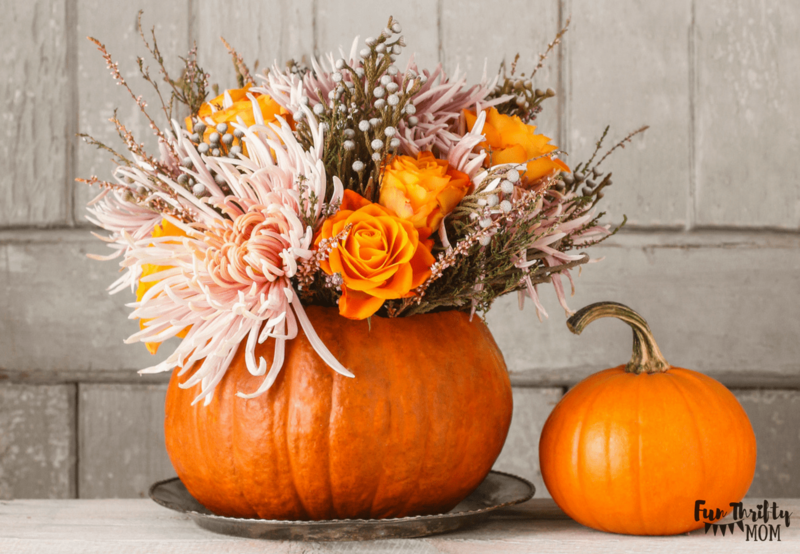 This gorgeous floral pumpkin centerpiece is perfect for fall and would make any Thanksgiving table shine! The best part, it’s not even all that complicated. 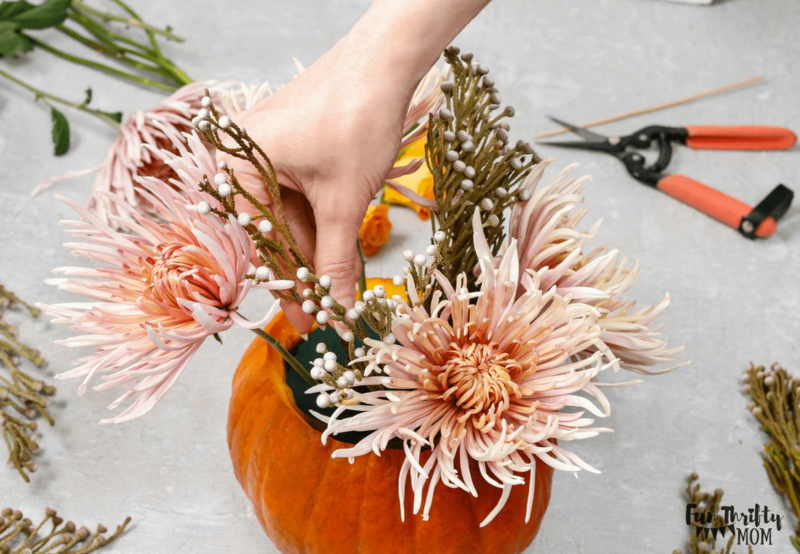 Before we get started showing you how to recreate your own centerpiece, here are a few tips to keep in mind. We love honesty. This post may contain affiliate links. This means if you click a link and make a purchase, we may earn a small commission at no cost to you. 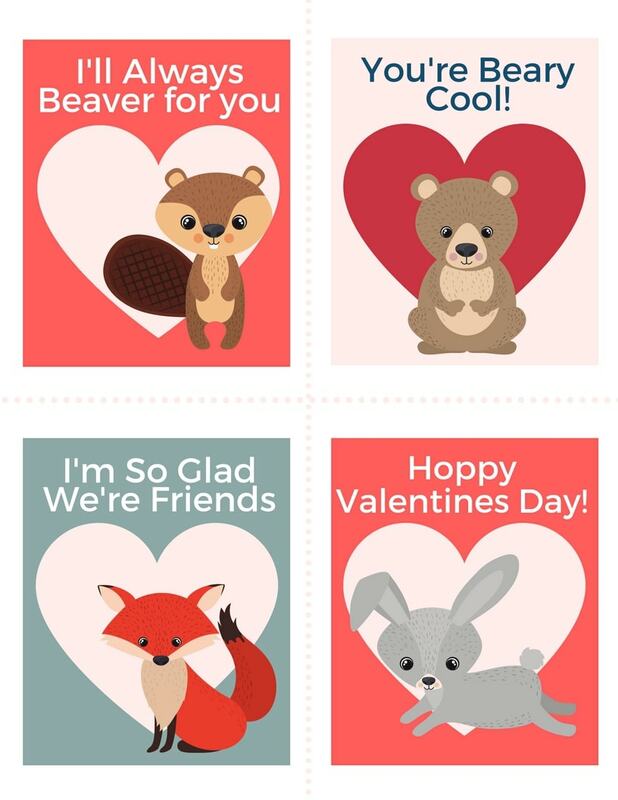 We only recommend products we think you’ll love. In this tutorial, we used real flowers. When using real flowers I cannot recommend the use of floral foam enough! It makes the job loads easier, and the flower arrangement always comes out looking fuller and more vibrant, even when using fewer flowers. 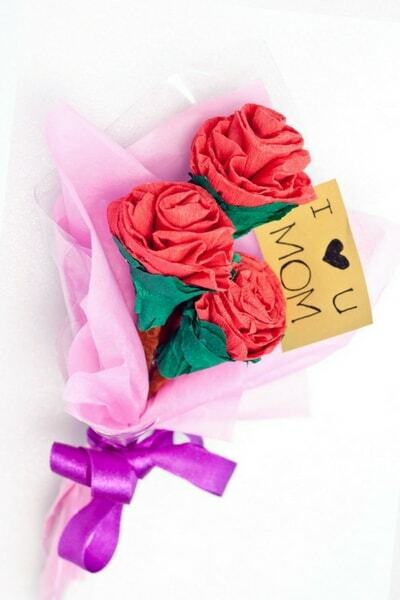 The foam is soaked before using and will help keep your flowers alive for much longer. You’ll be able to enjoy your gorgeous fall display for a few weeks, instead of days. Of course, you could always use fake flowers as well. There are some gorgeous artificial flowers that would look great displayed just like this, although the foam would still help to keep everything in place. 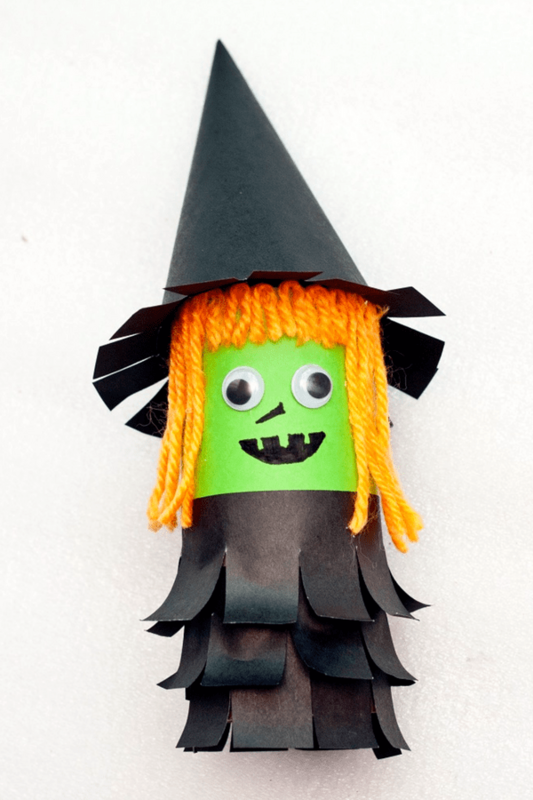 Start by hollowing out your pumpkin. If you want to display your centerpiece for more than a couple days, make sure to completely hollow it out. Then fill a bucket with water and add a tablespoon of bleach for every quart of water, and give your pumpkin a bleach bath. This will slow down the decaying process and prevent mold from growing. Allow your pumpkin to dry fully before continuing to the next steps. 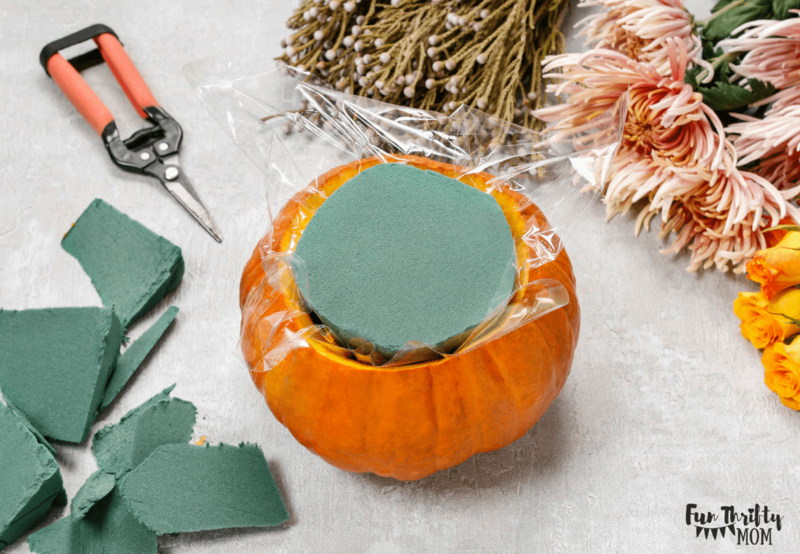 Next, trim down your floral foam so that it fits nicely inside your pumpkin. 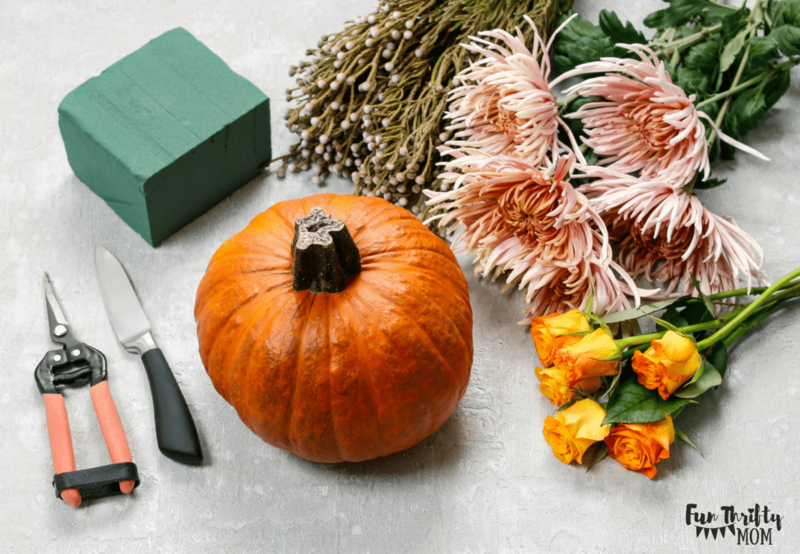 This is also the time the cellophane/plastic wrap will come in handy, as it will act as a barrier between your pumpkin and wet floral foam. Once your foam is the right size, allow it to soak in a large bowl of water. 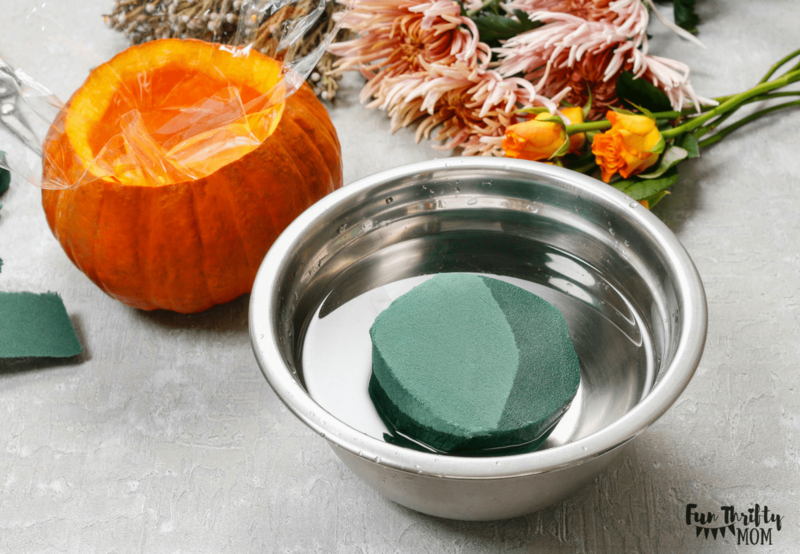 If you’ve never used floral foam before, here is the right way to soak it to make sure that it does its job fully. 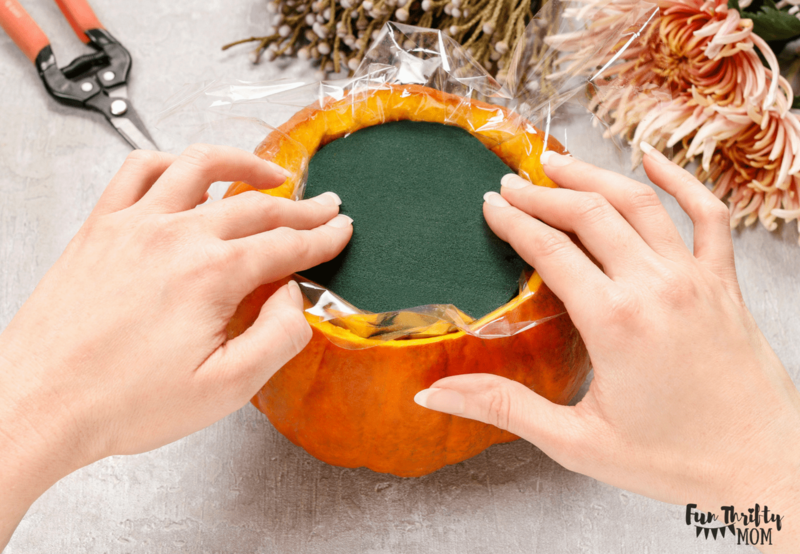 Place the foam back into your pumpkin, with the cellophane barrier in place. Trim the cellophane back to be even with the pumpkin’s surface. Now it’s time for the fun part. Arranging the flowers. When arranging your flowers, start with the largest flowers first and spread them out. Then start filling in with your accent flowers and greenery. Keep placing flowers until your display looks full and vibrant. 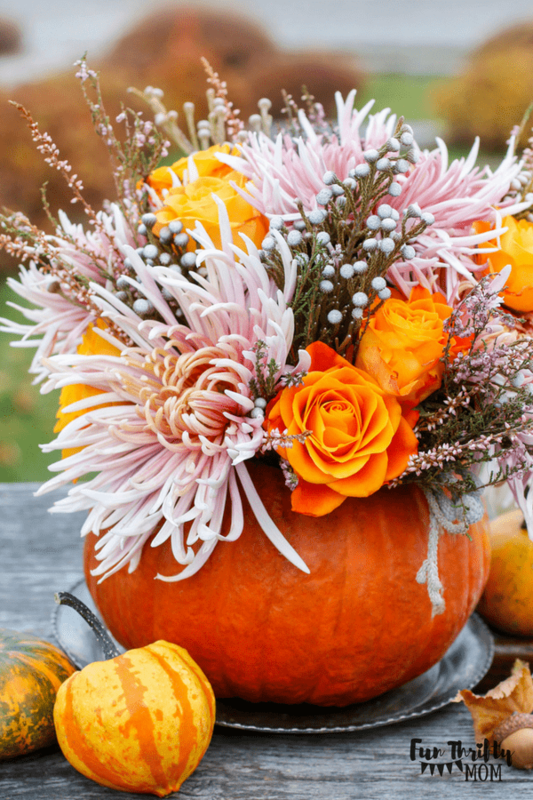 This can be done with a wide variety of pumpkins and flowers. 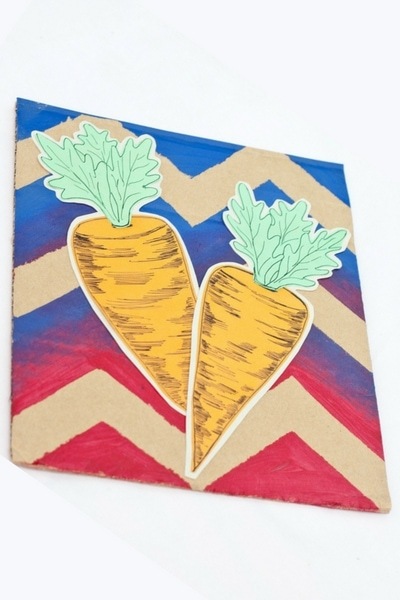 Don’t be afraid to get creative! 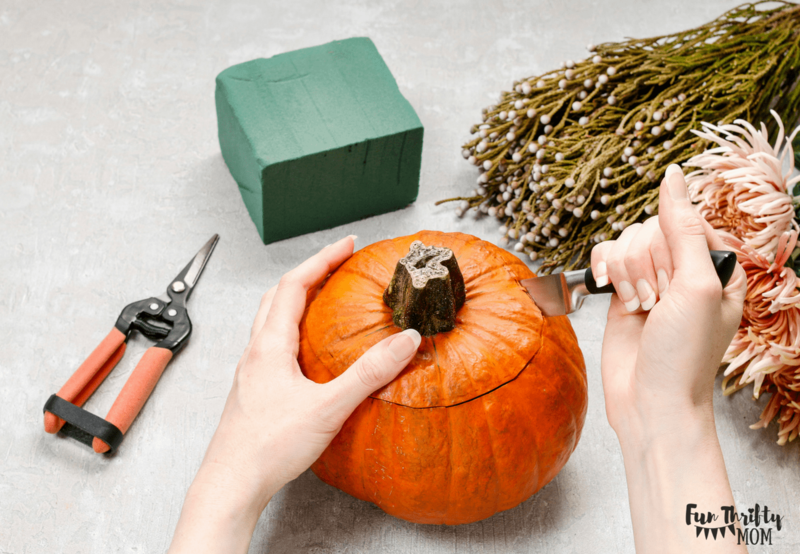 Here’s a fun little tip from I am Kristin for hollowing out your pumpkin quickly!